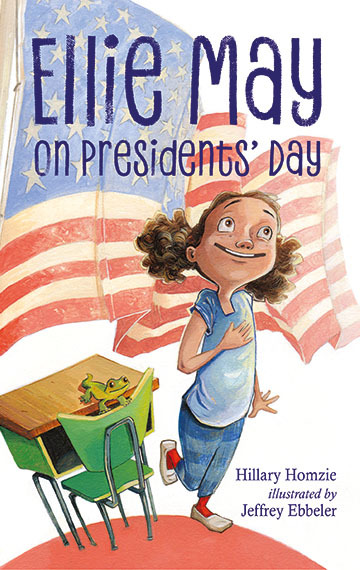 Quirky and funny, second-grader Ellie May enjoys learning about US presidents. But she absolutelyloves the idea of being class flag leader during the week before Presidents’ Day. Tired of not being chosen to hold the flag, she makes it her mission to finally get picked. Along the way, Ellie May ends up karate chopping the class plant when she tries to determine whether George Washington actually chopped down that cherry tree. Next she takes apart the class pencil sharpener when she learns that Abraham Lincoln liked learning how gadgets work. Ellie May may not be perfect like Miss-Know-it-All Ava or calm like her best friend Lizzy, but she’s good-hearted and eventually realizes that honesty and patience go a long way.